Dan Fagin is the director of the Science, Health and Environmental Reporting Program, in which he teaches Environmental Reporting and Current Topics in Science, Health and Environmental Journalism. He is also the founder and director of the Science Communication Workshops at NYU. Awarded the 2014 Pulitzer Prize for General Nonfiction, Dan’s latest book, Toms River: A Story of Science and Salvation, was described by The New York Times as “a new classic in science reporting.” A Times bestseller, Toms River also won the New York Public Library’s Helen Bernstein Book Award for Excellence in Journalism, the National Academy of Sciences’ Communication Award and the Society of Environmental Journalists’ Rachel Carson Book Award. Toms River was included in several lists of the best books of the year, including by NPR, which described Toms River as a “gripping, page-turning environmental thriller,” and by Kirkus Reviews, which called it “fascinating” and “hard-hitting.” Two Chinese language editions of Toms River were published in 2015, and it was named a Book of the Year by the Beijing News and the China Times. 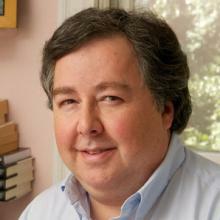 Fagin’s recent bylines include The New York Times, Nature, Scientific American and Slate. His next book is about monarch butterflies and the future of biodiversity in the Anthropocene. For 14 years, Fagin was the environment writer at Newsday, where he was a principal member of two reporting teams that were finalists for the Pulitzer Prize. His stories on cancer epidemiology in 2003 won both of the best-known science journalism prizes in the United States, from the American Association for the Advancement of Science and the National Association of Science Writers. He is also the co-author of the book Toxic Deception (1997), which was a finalist for the Investigative Reporters and Editors book of the year award. Fagin has been a Templeton-Cambridge Fellow in Science and Religion at Cambridge University and has also held fellowships at the Marine Biological Laboratory in Woods Hole, Massachusetts, and the Institute of Arctic Biology in Alaska. He is a former president of the 1,200-member Society of Environmental Journalists. For more information about his books and articles, please see his website.